With the privileges of using natural resources come the duties to prevent harm to the earth’s ecosystems, and to maintain a healthy environment for future generations. At the early stage of the development of Douglas and Marlene’s environmental awareness, it became clear to them that the deterioration of the world’s habitats had nothing to do with lack of technology, but rather a lack of immediate incentive to do anything about it. Living sustainably, wherein individuals use natural resources and also maintain or contribute to the health of their environment, is the only option that guarantees a balance between human activity and the planet. Douglas and Marlene’s first success at providing their own energy was when they installed solar panels to heat their water. 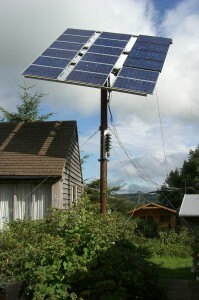 Slí na Bandé has four sets of solar energy panels. Some sets produce electricity. Others produce hot water for consumption inside the house. The picture below shows the panel helping to heat the pool. Wind energy is obtained from turbine engines powered by wind. At the beginning, Douglas and Marlene were only experimenting with their ability to harness energy from the wind. Their first wind generator had only half a kilowatt capacity and it could not withstand the irregular wind patterns (gusts) that Ireland experiences. They found that Irish weather conditions are of a kind for which only very specific wind generators are suitable. Seeking other countries with similar wind patterns, they turned their attention to Scotland where a wind generator had successfully been developed for gusty conditions. 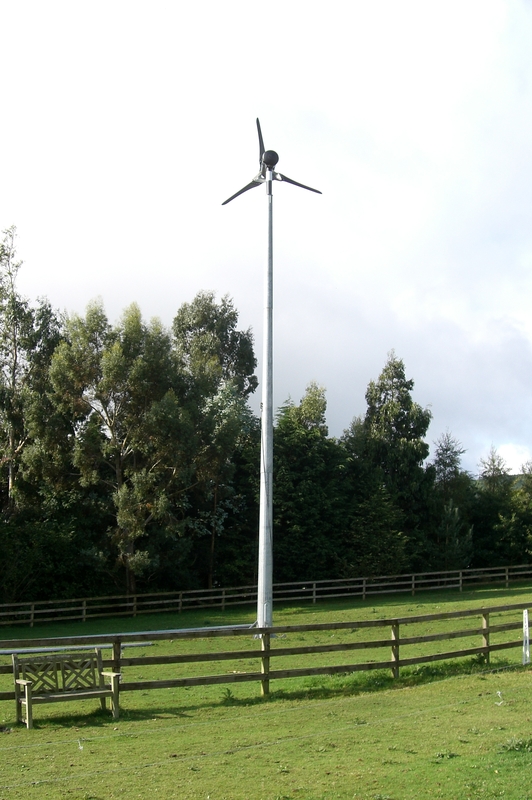 Douglas and Marlene now have a Scottish 1½ kilowatt wind generator. It’s aesthetically pleasing and sufficiently quiet. Vegetable oil is an alternative energy source, used similarly to fossil fuel, but is cleaner and sustainable. However we do have to be careful. 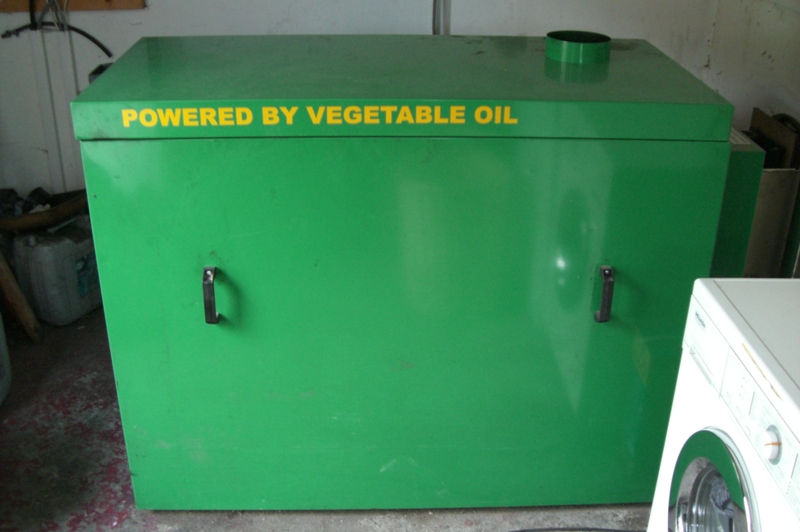 Producing vegetable oil can have very serious environmental and human implications. 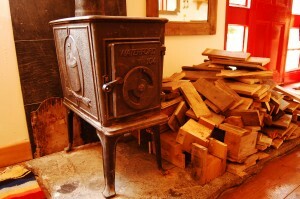 Before Douglas and Marlene began researching vegetable oil, their home’s only heat was supplied by wood burning stoves. After much research, they bought used oil from chippers and refined it in order to power a standard central heating burner. For a while, they ran their central heating with this oil. There was a problem with this method, however: ethical disposal of the unclean waste from the filtering process. Douglas travelled to Germany to see if they could purchase a generator that would run on pure plant-oil rather than purified waste oil. At that time, they found only prototypes. They did, on the other hand, find vehicles that were being successfully run on pure vegetable oil. This discovery spurred them to convert their vehicles to run on vegetable oil, and then to obtain a pure plant-oil source. They convinced a local farmer to grow rapeseed, bought a small seed press, and pressed the oil themselves. Cake residue from this process turned out to be excellent animal feed. 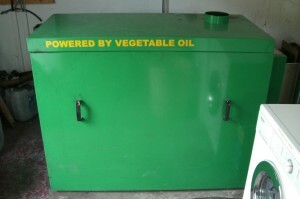 Douglas and Marlene have since acquired a generator that runs on pure plant-oil. 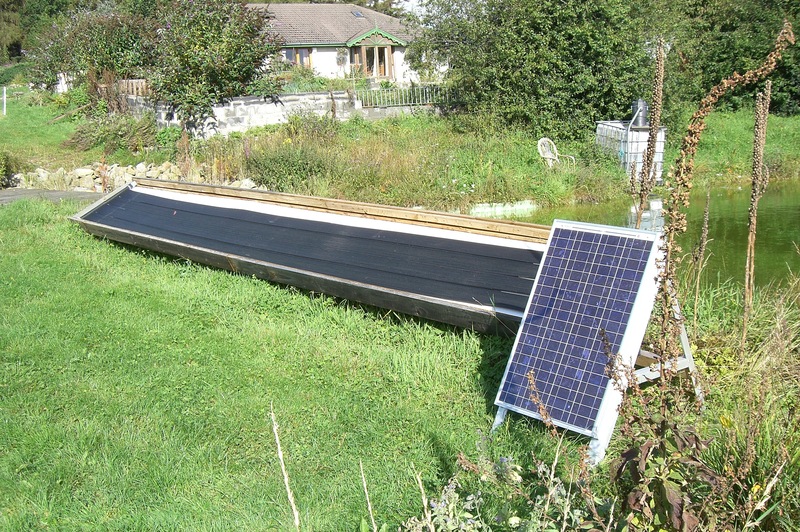 The oil-powered machine generates electricity, which in turn heats the water for their home. At the moment the oil is grown and made locally from locally grown rapeseed… not transported around the world from being grown rainforest land. It is grown on set aside land in Ireland. What is the problem with the law in the EU concerning vegetable oil? More informations in the Biofuels section of Slí na Bandé’s Manifesto. 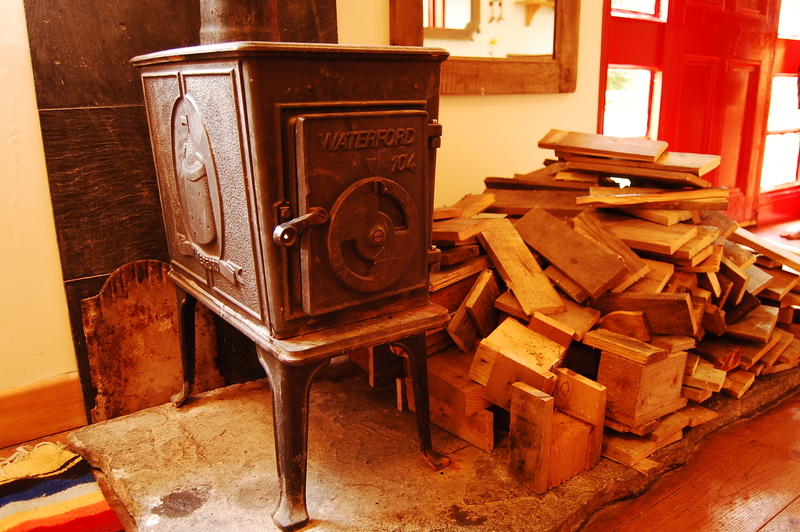 At Slí na Bandé, all our rooms are heated with wood burning stoves. 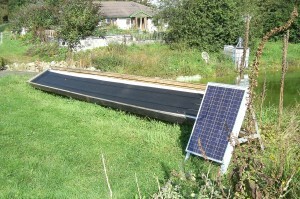 We make an effort to use recycling palets and old timber, rather than trees cut for that purpose or solid fuels as coal.